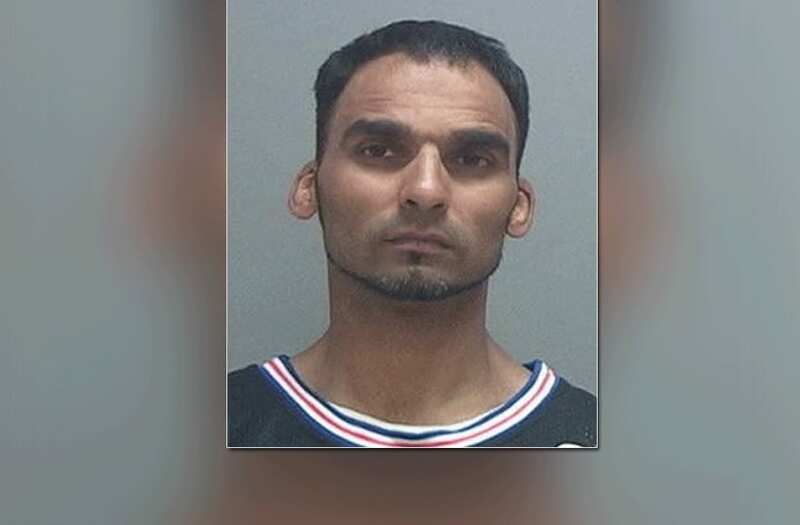 SANDY, Utah (KSTU) -- Umar Hayat Raja is in custody after kidnapping a man at knifepoint from the Larkin Cemetery on Saturday. According to Sandy Police, the victim had been grieving in the Sandy cemetery at 1700 E. 10600 S. when Raja approached him with a knife and demanded he drive him around the city. The victim told police that, throughout the drive, Raja threatened them and also gloated that he had "killed before." During the drive Raja and the victim switched places in the Jordan Commons parking lot at 9335 S. State St. and Raja began driving the pair around. Police say he drove around erratically and nearly hit a police officer. When they pulled alongside the police vehicle the victim reportedly mouthed, "help me" to the officer. Sandy Police say the officer followed the pair and eventually took Raja into custody. Raja has been charged with counts of aggravated kidnapping, aggravated robbery and drug possession-related offenses and was booked into the Salt Lake County jail.